My sister-in-law is everything I'm not. and her children are too. and this is the latest for her birthday. I photographed it at our local supermarket. I cried the other day when I went past and they were tearing it down. It will be ages before it's built again. but it's going to be a looooong winter! I do love this quilt, I love how the colours zing. That is a beautiful quilt...where can I get that pattern? I love the tumblers design, but haven't seen one so large! Love it! That's very sweet of you Deb...I am sure your SIL will love it! 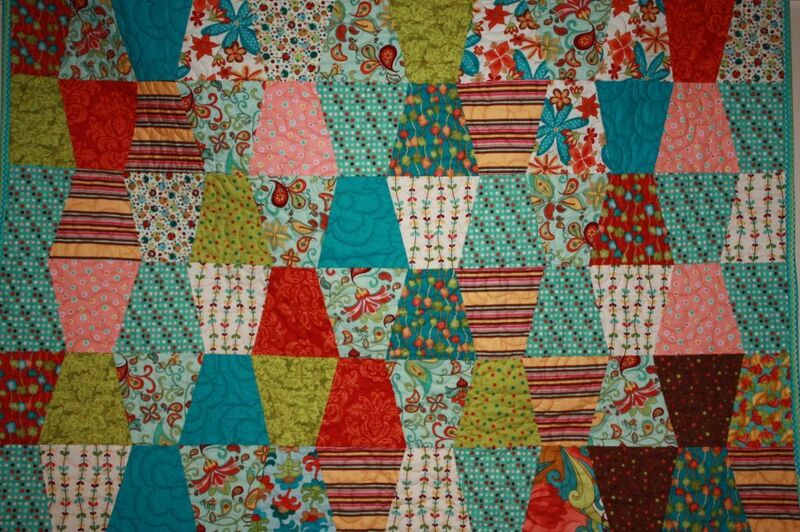 Oooooh love that quilt pattern. It's on my 'to do' list. Perfect fabric choices too! Lucky SIL. Hi Deb, I realy like that pattern - I've always thought of it as a thimbles. What method do you use? Rotary cut and machine piece? I'd only feel comfortable paper piecing something with those angles but that would take me years (literally)! Cheri.